Is big business good for communities? 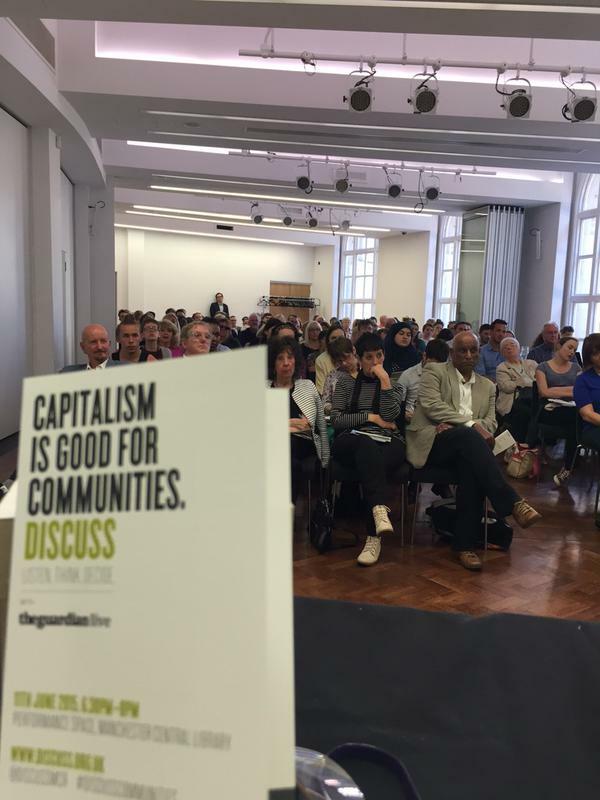 Since the financial crisis, capitalism has been blamed for the growing levels of social injustice and inequality across the UK. While the 1,000 richest families have more than doubled their income since 2009, average incomes are still lower than they were before the crash, leading many to argue that our system is failing ordinary workers and communities. But is it all bad? Many business leaders believe that far from being to blame for society’s ills, capitalism is a positive force that fosters entrepreneurialism, creates jobs and allows communities to prosper. 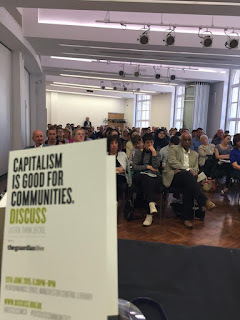 At a Guardian Live debate at Manchester Central Library four panellists argued for and against the motion: Capitalism is good for communities. In a city that’s home to some of the most socially deprived areas in the UK, it was clear that those arguing in favour of the motion would have a tough task. Breffni Walsh, founder of Brands Are Best, warned that blanket criticism of capitalism is harmful: “If we simply condemn and vilify capitalism we abdicate our power and our influence over it, and risk seeing our economy and society stagnate,” she argued. “The worst excesses of capitalism; zero-hours contracts, fat cat bankers. I would argue that these are exceptions and are not the rule.” According to Walsh, the driving force behind capitalism is not greed but “enlightened self-interest”. This means that entrepreneurs come up with innovative and useful business ideas that benefit society, and employ passionate, motivated people. Examples include a company that sells mouldable glue, and a pet retailer that employs dozens of people. But Georgia Rigg, leadership lead at youth leadership project Reclaim, disagreed, insisting that a distinction had to be made between how capitalism should function and how it actually works. “I’m not talking about what capitalism has been or what it could be, I’m talking about what we’ve got, which is neoliberalism,” she said. Rigg highlighted the disturbing levels of inequality that blight capitalist societies worldwide. “The scale of inequality around the world is massive and it certainly doesn’t reflect the knowledge, merit, input or ability of people,” she said. “The myth that everybody can make it may be a beautiful one, but it’s still a myth.” Her speech was met with loud cheers and applause from the gallery. Haslam added that the rise of “conscious capitalism” and corporate social responsibility is leading to an increasingly moral global business environment. However, she angered members of the audience when she suggested that large corporations, such as Starbucks, should not be criticised for tax avoidance on the grounds that it is not strictly breaking any rules: “Somehow tax has become a moral issue,” she said to loud jeers. Last to speak was Paul Kennedy, a sociologist at Manchester Metropolitan University, who argued against the motion, but conceded that capitalism was not all bad. 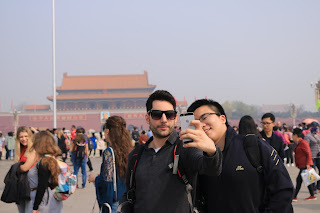 “Historically, capitalism has been hugely responsible for improving humanity,” he said. A poll of the audience at the end of the debate showed that the vast majority strongly agreed. Excellent. And I love the quote from Haslam, "Somehow tax has become a moral issue"! Surely not!